When you mention Arta, rarely do you get an excited reaction. It’s mostly about how mundane the Greek town is. And if it weren’t for its legendary stone bridge, the “Gefyri tis Artas”, which was built in the 17th century and carries a tale like no other, most people would probably not even know about this northwestern Greece town. Like most of Epirus, its secrets… are still secret… waiting to be discovered. Arta is the capital of one of the four regional units of Epirus together with Ioannina, Preveza and Thesportia. Built on the eastern bank of the Arachthos River, the town itself may not hold much for the traveler but could serve as an ideal base for one of the most rewarding travel experiences in Greece. “The area has been isolated for many years, but now things are moving, there is activity. The new road network has helped a great deal,” Dimitris Varelis, Alternate Thematic Regional Governor tells GTP Headlines. The Amvrakikos Gulf in pink. Photo credit Preveza Municipality. The Egnatia and the Ionia motorways as well as the upgraded Aktion Airport have contributed a great deal to Epirus’ tourism. Travelers to Arta are mainly Greeks, Germans and Italians. “Since the construction of the highways, we’ve seen a rise in tourism. The Preveza unit, for instance, has seen inbound tourism increase by 20 percent,” he notes. The airport of Aktion is a 45-minute-drive away with many seasonal international flights in the summer and daily bus routes from Athens, Thessaloniki, Patra, Larissa, Ioannina, and Preveza serve Arta. “Our first priority is to get the suitable infrastructure in place,” Varelis tells GTP Headlines, admitting that there aren’t very many accommodation facilities in the town of Arta. “But these hotels have to agree with the natural habitat. You have to safeguard the environment,” he says. “We want more emphasis to be given to family-owned businesses, to offer incentives so that younger people return to the countryside, build their lives here, and thus boost the economy of the region”. Varelis is proud of his homeland. Born in Koboti, a small village of Arta, he left a career in the military to join politics in hopes of “creating a better future for our children, for the next generations”, he says as he introduces me to the finest delicacies of the region: shrimp known as “gambari” from the Amvrakikos Gulf, sardines, and “koutsomoura” (from the mullet family) as well as trispouro Zambela – locally-made spirit, and graviera Bafas cheese. Efforts are being made, he said, to secure that these are listed as Protected Designation of Origin (PDO) products. “It is vital that we begin to develop the primary sector, designate and certify local products, and link these to tourism,” he says. 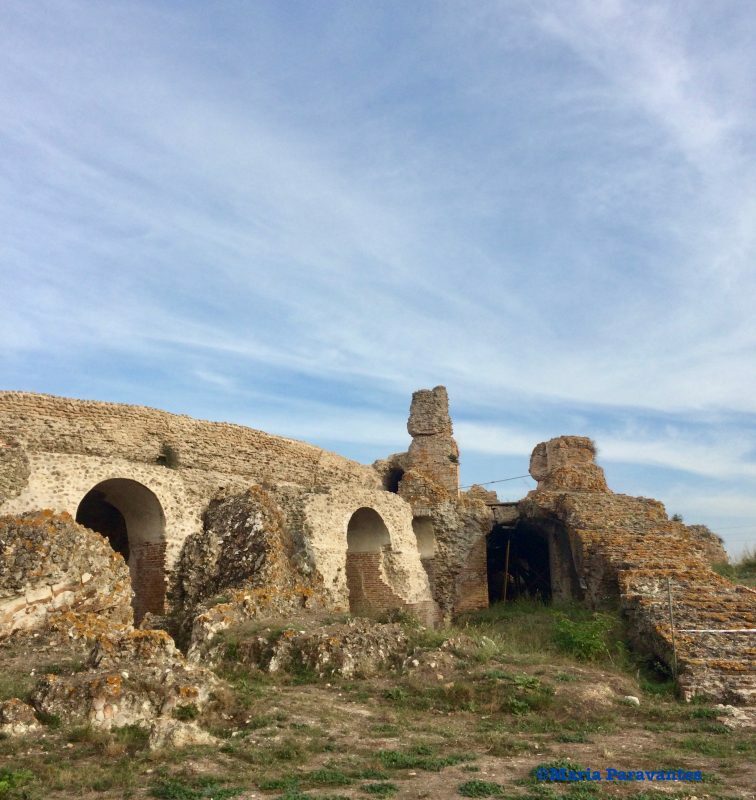 Not Stonehedege, a part of Nicopolis, founded near Arta in 29 BC by Caesar Augustus after winning Antony and Cleopatra at the Battle of Actium. Indeed, besides the town of Arta, there is so much to experience in the region. Arta is located in the Amvrakikos Gulf. The town was named Amvrakia in ancient times (9th century BC). It has access to four beaches and is home to one of Greece’s largest wetlands and national parks. The Amvrakikos Wetland National Park includes the lagoons of Rodia, Logarou and Tsoukalio, and is protected under the EU’s Natura program. It is considered one of the most important wetlands in the Mediterranean, home to endangered species such as the Dalmatian Pelican, the Ferruginous Duck and the Great Cormorant, and with one-third of Greece’s total water foul population spending its winters here. A must-visit destination is the islet of Koronisia, some 25km from Arta, in the heart of the wetlands and home 167 inhabitants active in fishing and tourism. “In the Logarou lagoon, fishermen still use the ages-old ‘ivaria’ fishing technique, says Varelis. Fishermen from the villages of Koronisia and Kalogeriko have set up a cooperative which has the exclusive fishing rights in the lagoon but also the responsibility to preserve the natural habitat. That is why they continue to fish with the ivaria method passed on to them by their fathers and grandfathers. The Byzantine Church of Parigoritissa in Arta, Epirus. 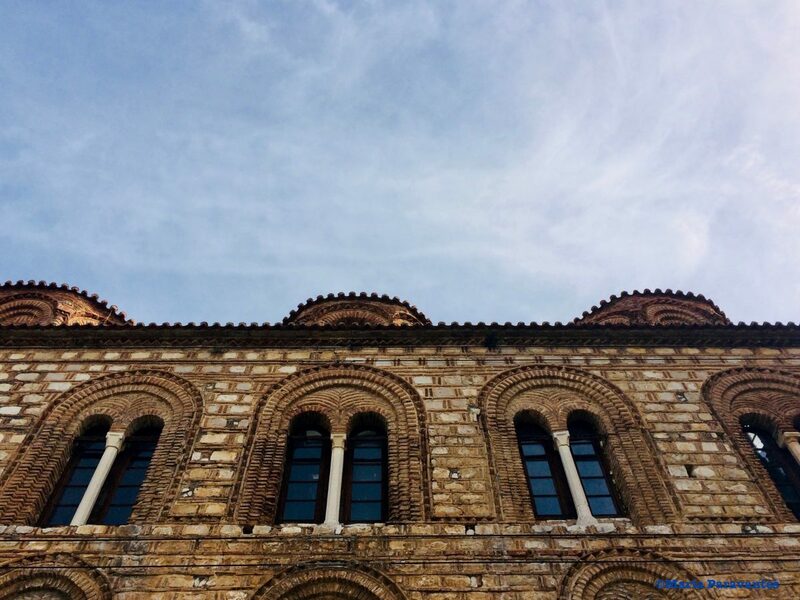 Besides the natural wonders, the ancient sites and the gastronomy, the region boasts the largest number of Byzantine monuments in Greece. 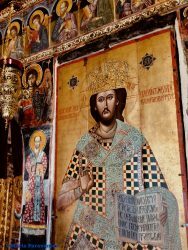 Byzantine glory inside the Church of Parigoritissa, Arta, Greece. 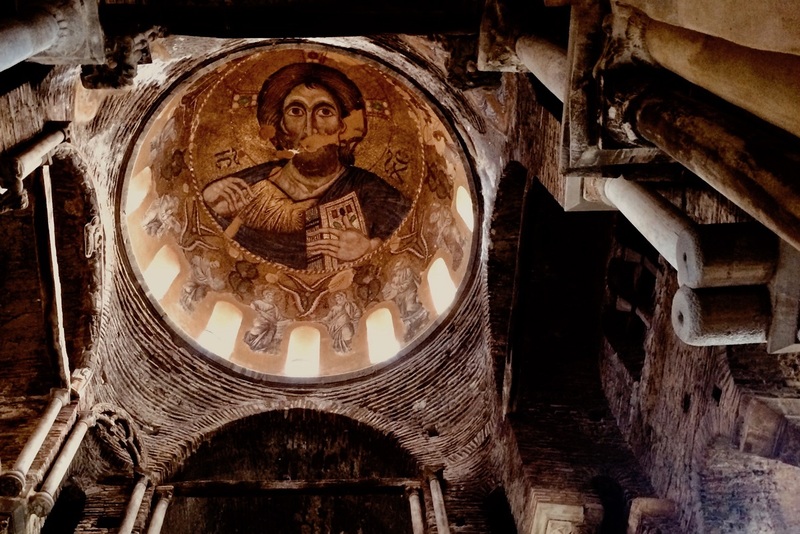 “The region has the most Byzantine monuments in Greece. We have been working to attract religious tourism to the region which can be combined with the Ancient Theaters of Epirus route,” regional councillor and Arta city councilwoman Anastasia Simou-Tasiou tells GTP Headlines, as we walk to the 13th-century Byzantine Church of Parigoritissa in the heart of Arta, dedicated to the Comforting Virgin Mary. “We are making efforts to get the Parigoritissa inscribed into UNESCO’s World Heritage List,” she says, adding that local authorities have been working in the last few years to establish the region as a leading religious tourism destination. Simou-Tasiou referred to other important sites including the 7th-century Panagia of Koronisia, the historic Seltsou Monastery in the Tzoumerka Mountains, the Church of Agia Theodora, the Church of Panagia Vlacherna, the Church of Agios Vasileios Agoras and many more. 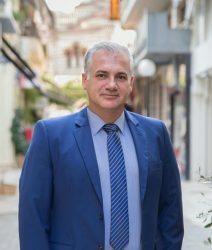 Simou-Tasiou, also born in a small village of Arta, in Kirkizates, agrees with Varelis that local stakeholders are not seeking to attract mass tourism which would in turn require massive infrastructure projects. 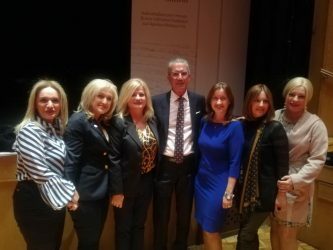 Regional councillor and Arta city councilwoman Anastasia Simou-Tasiou (3rd from left) during the launch earlier this month of the Ancient Theaters of Epirus cultural route. 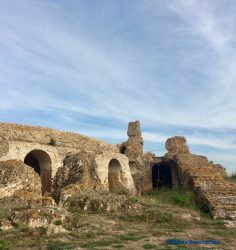 “The idea is to tap into the alternative tourism offerings available in Arta and across the Epirus region. Arta is an all-season destination offering a wide variety of options. Besides religious tourism, there is gastronomy, sports and above all nature tourism,” she explains, referring to the Amvrakikos Wetland National Park and to Koronisia island. The Byzantine monuments of Arta have repeatedly been included in international conferences as unique examples of Byzantine architecture, mosaic art and hagiography. Simou-Tasiou is optimistic. “We are seeing lots of interest for tourism to the region, particularly for religious travel,” she says, referring to feedback from international tourism fairs. Other tourism options while in Arta include tours to the Tzoumerka mountain range, the coastal town of Preveza, and to five archaeological sites – the theaters of Dodoni, Nikopolis, Kassopi, Amvrakia, and Gitana – which were launched earlier this month as the Epirus Region’s new tourism product titled the Ancient Theaters of Epirus. Both Varelis and Simou-Tasiou are fond of Arta, particularly of its unique eco-system and natural wonders. “Tourism and sustainability go hand-in-hand,” they say, “but to do this infrastructure should be small-scale and in tune with the environment”. 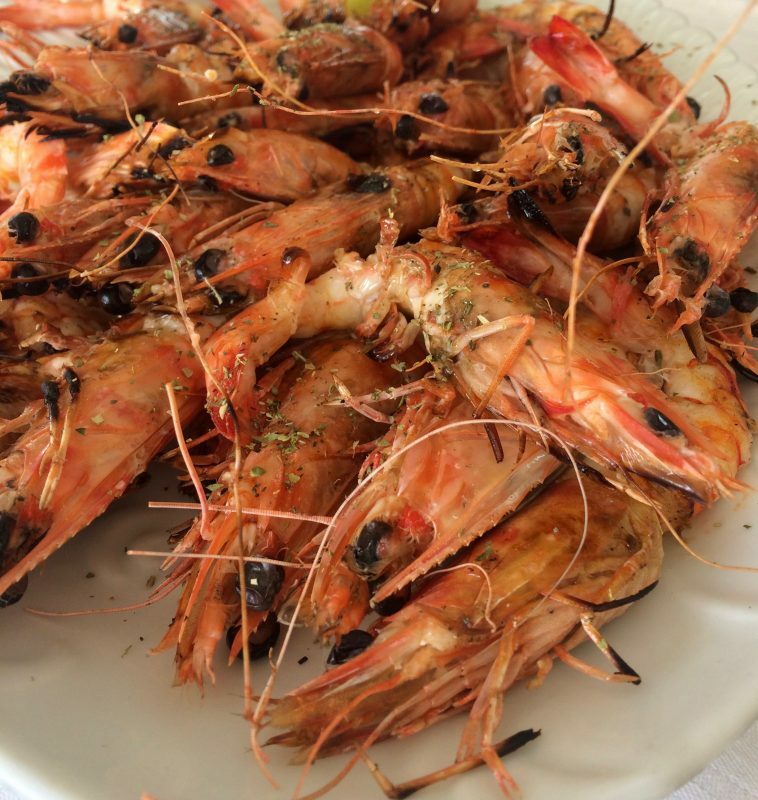 The famed shrimp from the Amvrakikos Gulf in Arta known as ‘gambari’. They also underline the importance of bringing the younger generations back to the countryside, which is being achieved in the last few years thanks to farm training and subsidy programs. Greece’s only university department of Folk and Traditional Music is in Arta, and regional authorities have applied to bring a university-level agriculture school back to the region. As we sip our last tsipouro before we set off on our ancient theater tour, Simou-Tasiou urges me to take one more gambari shrimp. “It’s the shrimp they served US President Obama on his visit to Greece, from here the Amvrakikos Gulf,” she says proudly.